A GUI tool for creating, accessing and managing SQLite compatible databases. with SQLite v2.x and 3.x standard databases. 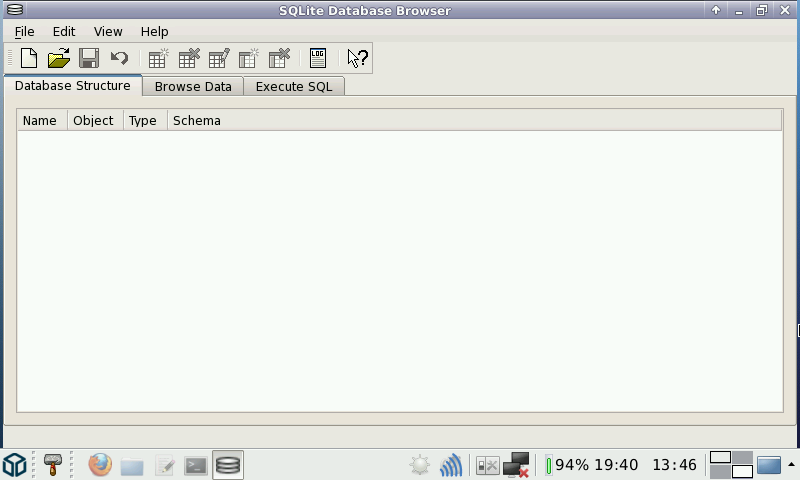 So, if you need a tool to inspect or modify data for this type of database, SQLite Database Browser maybe for you. SQLite Database Browser is also a perfectly capable tool for creating standalone databases on the Open Pandora, and because it supports the basic theory behind the relational model, it is a very capable tool. Breaking out data into tables and providing SQL access to the final structure the possibilities whilst not endless, are significantly greater than with more traditional flat file database managers. nobgu - thanks. CSV table import doesn't seem to work though, which limits its use. I'm loking at another, non-QT, non-abandonware alternative (TKSQLite) that looks more useful. pnd re-submitted with licensing data added and preview image. No functional changes were included.